In her human form, Thetis has light skin, blue hair, and dark green eyes. She wears a short blue dress with light blue gloves and white shoes. 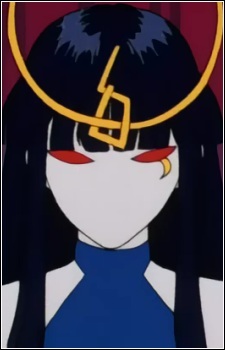 In her youma form, she has chalk white skin, dark blue (almost black) hair, and glowing red eyes. She does not appear to have a mouth, but her jaw moves when she speaks. She wears a blue, sleeveless, skin-tight suit with lavendar gloves that reach past her elbows. She also has an elaborate gold headdress.